Obsessive Compulsive Disorder is an anxiety disorder that starts with an obsessive thought pattern which is followed by an act found to be compulsory to fight the obsessive thoughts. In other words, OCD refers to repeated thoughts, images or urges known as obsessions that cause discomfort, fear or anxiety which are combated by repetitive behavior known as compulsions. Obsessive thoughts typically include the fear of contamination, harm to oneself or others, and the need for arranging things in symmetry and exactness so as to ward off bad luck. Having forbidden and repulsive religious or sexual thoughts also comes under this umbrella. One cannot reason with himself to rid his mind of disturbing and repetitive thoughts such as these. Compulsive behavior occurs in response to obsessive thoughts. This behavior is carried out to distract oneself and reduce the intensity of obsessive thoughts. Commonly, the compulsive acts of people include cleaning, repeating a phrase or counting to a certain number, rechecking, organizing, and the like to dispel discomfort and anxiety. While one may try and resist compulsive actions there is no stopping obsessive thoughts. 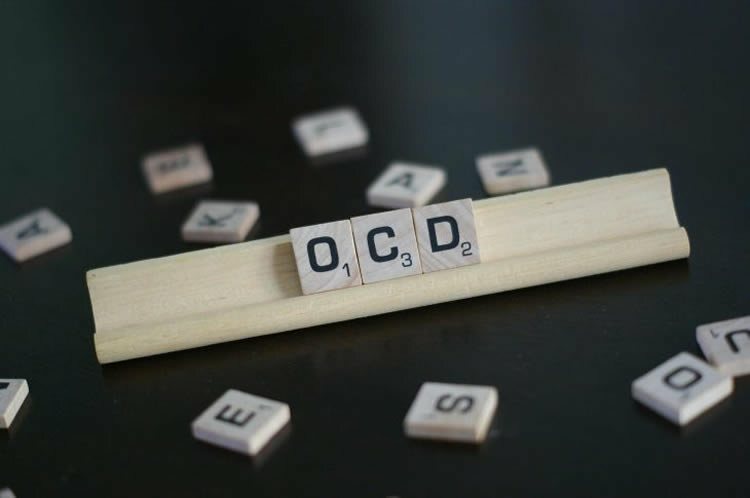 People who have OCD may be more organized than others, however, their repetitive obsessive thoughts can ruin their focus while their repetitive compulsive acts may come off as odd to others. A person who has OCD is unable to control his obsessions and compulsions. OCD has physical, mental, emotional as well as behavioral symptoms. Psychological symptoms include repetitive thoughts. An OCD patient may accuse himself or find himself thinking taboo thoughts. He is likely to even be aware that is obsessions are not true, a fact that still fails to make him stop the thought process. Physical symptoms of the disorder may include headaches, stomachaches, racing heartbeat, dizziness, derealization and shortness of breath. Emotional symptoms include fear, anxiety, guilt, shame, sadness, and anger. Behavioral symptoms manifest in the form of compulsions. For instance, someone with OCD may wash his hands excessively, clean a bit too much, count to a certain number, etc. Obsessive compulsive disorder is slightly more common among women than men. Symptoms typically start to show from age 19. Medications including antidepressants may be used for the treatment of obsessive compulsive disorder. Therapy such as cognitive behavioral therapy may as be used as an alternate route or in combination with medications. One thing that one must know about OCD is that the condition is chronic and needs ongoing treatment. Moreover, recovery takes time and relapse is a risk. Hence, the best treatment would include teaching one how to conduct his own therapy. Obsessive compulsive disorder, known as OCD in short, is an anxiety disorder characterized by obsessions and compulsions. Obsessions begin with repetitive thoughts whereas compulsions refer to the compulsive acts done to reduce the severity and intensity of obsessive thoughts. This condition is, however, can be reduced in most cases.